I had an interesting conversation with a gentleman from Wolsey Road this week, regarding Molesey's close shave with flooding earlier in the year. His point was that the Environment Agency had predicted flood waters levels way in excess of where they actually rose, and that the insurance companies would base premiums on EA projections - if so residents of East Molesey, Thames Ditton and Walton might face rising home insurance bills. This was an article I wrote in the Spring Molesey News on flooding and my suggestions of some practical steps Elmbridge Council might take to be better prepared in future. MOLESEY'S flood defences were severely tested following three months of near constant heavy rain. As the Thames burst its banks at Sadlers Ride and Hurst Meadow, the river engineering works at Molember Road thankfully held up to the challenge from the Mole and Ember, to the relief of those in homes adjacent to those rivers. However I spoke with householders in Riverbank, and Hurst Road and Feltham Avenue who had endured the misery of dirty water and sewage in their basements, homes and gardens - a small number were forced to evacuate. The Met Office calculated that some parts of the South East received as much as five months of rain in the period of mid December until the end of January. 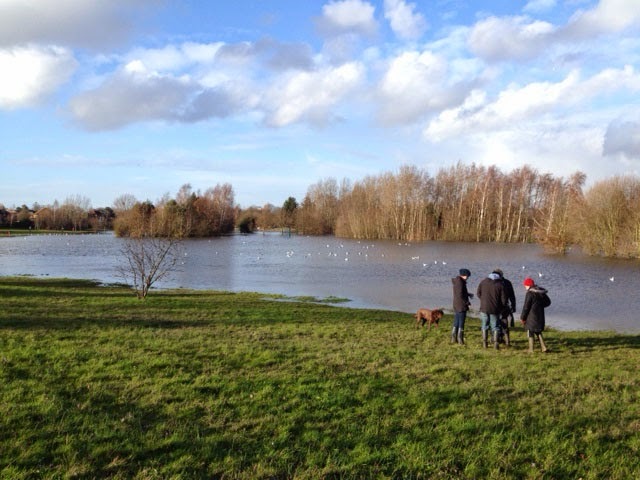 Elmbridge Borough Council (EBC) worked with Thames Water and the Environment Agency during the crisis, to monitor river levels, issue advice and check on the vulnerable. The council opened a 24 hour rest centre at Walton for evacuees and distributed some 8,500 sandbags and sacks. It also provided Portaloos for home with unusable toilets. Mr Moran said vulnerable residents in East and West Molesey had received a “very good service and regular information and practical support” throughout the flood period. The council had also assisted in the clean-up and established a hardship fund. This was at odds with the experiences of some residents I spoke to, who complained of a lack of timely information and being ‘passed from pillar to post’ by the various agencies as water invaded their homes. Others said sandbags, when they did arrive, came without warning and were quickly snapped up, apparently not always reaching those householders in the greatest need. Hurst Meadow or Hurst Lake? Elmbridge and its partners worked tirelessly to help residents over a wide area during the recent crisis and their efforts are to be applauded. However it is clear that the various authorities can learn lessons from what went wrong this time in order to improve their response if the events of this winter are repeated in future. 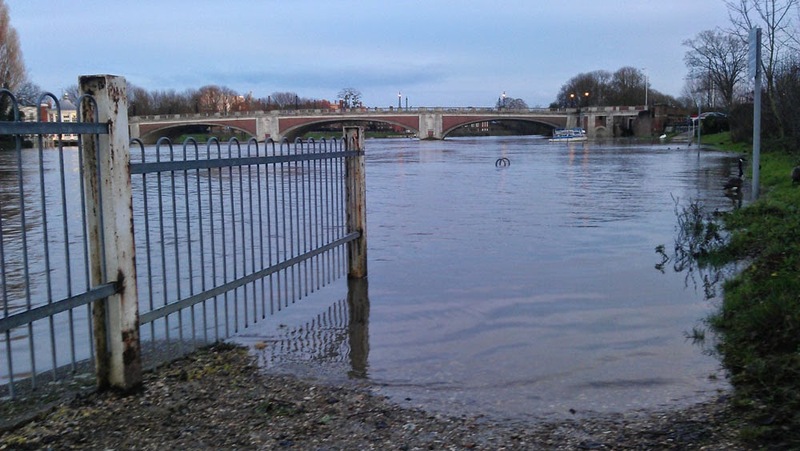 One measure the Molesey Conservative Residents are proposing at the borough council elections in May, is to establish a flood warden for every at-risk Molesey street. They can liaise with residents and the various authorities to ensure that information, sandbags and all other practical help can be targeted to the most vulnerable.